Home World Global Citizenry Through Hardship and Disaster, Is Compassion the Cure? Through Hardship and Disaster, Is Compassion the Cure? 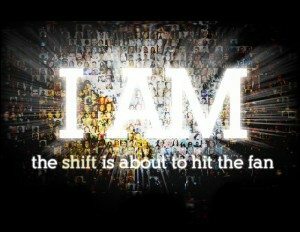 In Tom Shadyac’s Film “I Am,” he poses a solution to a battered world: Compassion- It will right whats wrong with the world. As a society we are not immune to disasters– not in the face of mother nature who rules. Man does not have dominion over nature. But what man instinctively has is the desire to help those in need. Having compassion is the only way we will survive through disaster and hardship. We are overwhelmed by change– first Egypt and the brilliant resolve of Wael Ghonim who used powerful social media tools to awaken the world and claim victory after dismantling one of the oldest dictators and the over throw of Mubarack’s regime. Wael has compassion for his people and through his efforts he ignited a positive force for change. As countries in the middle east battle between ownership of light sweet crude– and the magnitude and pomposity of one man, Libya’s Ghadaffi and his Green Book mentality takes measures bordering on insanity to new political heights– the rest of the world suffers. Where can compassion be found? Friday’s massive earthquake triggered a powerful tsunami that devastated the coastline north of Tokyo.Thousands of people along the northeastern coast of Asia’s richest country are dead, and tens of thousands have gone days with little food, little water and almost no heat. Their towns have been demolished into soggy fields. And Tuesday, amid an escalating nuclear emergency, a dangerous plume of radioactive material leaked from a coastal power plant, causing panic among stock traders, triggering evacuation orders from foreign companies and generating a deep sense of unease among millions of residents concerned about radiation exposure. One catastrophe alone would have been overwhelming. But Japan, since Friday, has been hit by a 9.0-magnitude earthquake and countless aftershocks, a shoreline-crushing tsunami and an evolving crisis at the Fukushima Daiichi nuclear power plant. Along the coast, 6,000 are officially confirmed as either dead or missing, according to the police tally. Many more are unaccounted for. Officials in one prefecture estimate that at least 10,000 of its 2.3 million citizens were killed by the tsunami and quake. Short of medicine and supplies, hospitals are struggling to treat seriously injured or ill patients and overwhelmed local officials have not been able to secure enough space for morgues and coffins. The continuing blackout has made it impossible to create dry ice to pack the bodies. More than 500,000 people have been evacuated from the hardest-hit areas and 15,000 have been rescued, including a 70-year-old woman pulled from her toppled home by rescuers on Tuesday. But time is running out for rescuers to help those still stranded by flooding or trapped in debris. Officials said about 2,000 bodies were found Monday along the coast of battered Miyagi Prefecture, and a survey of local governments conducted by the Kyodo News agency found that about 30,000 people in the devastated areas remain unaccounted for. Torn up and terrified by a disaster that keeps on getting worse, Japan has transformed in just four days from one of the world’s most comfortable countries into one of its most distressed. After a 6:14 a.m. explosion at the Unit 2 reactor Tuesday (5:14 p.m. Monday in Washington), Prime Minister Naoto Kan — wearing a durable blue work jacket — addressed the nation. “Please listen to my message calmly,” he said, before explaining that that radiation had spread from malfunctioning reactors at Fukushima Daiichi into the environment. Readings in the nearby area suggested very high risk, he said, although within nine hours of the blast they had dropped to lower — but still elevated — levels. The government told those within 12.5 miles of the plant to evacuate. It asked those within 19 miles to stay indoors. Those outside of that radius — including the 13 million in Tokyo, 150 miles to the south — wondered whether to trust what little information they received from the government, whose top spokesman said those in the capital would be safe. Snaking lines formed at Tokyo’s Narita and Haneda international airports as foreigners packed the ticket counters, hoping to catch a flight far away from Japan and the lingering threat of radiation poisoning. Many came to the airport hours or days before their scheduled flights were to leave, hoping for an earlier departure, even though they had already been told several times no earlier flights were available. “Anywhere but here,” said Maria Sumner, a 23-year-old from Washington, Mo., who was headed to San Francisco on Tuesday after a deluge of worried e-mails from family and friends. “It just got to be a little too much,” she said. While waiting on departing flights at Tokyo’s Handea Airport, Students, residents and tourists describe the tipping point that convinced them that it was time to leave Japan. 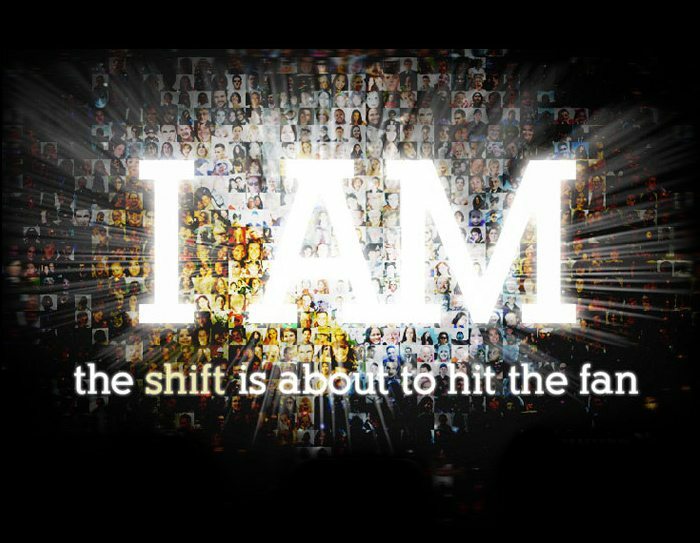 Enter Tom Shadyac’s independent film, I Am, which is a revolutionary leap of faith. As a species, humankind is connected to every growing and evolving life form from mammal to flower. We speak, see, sense and are a part of a humongous collaboration, a vibration, which echos words like peaceful coexistence, share and compassion and resists poverty, war and prejudice. Cooperation and compassion are part of our DNA– we live it. For mankind to survive, and it will require a different allegiance to all living things, we have to make compassion a 7th sense. When an injured heart beats in just one human being its the rhythm that is felt in another. That vibration becomes a cacophony that can orchestrate dramatic universal change. Are we on a precipice of change? Are we living only to exist and survive and will Darwin’s “fittest” theory demonstrate that our own innate fears for survival outweigh and overshadow our visceral ability to feel? What will it take for human beings to awaken? Read Marc Ian Barasch’s, The Compassionate Life and watch Tom Shadyac’s documentary, “I Am” for a paradigm-shifting experience. Next articleThe Compassionate Life- Is Empathy the Answer? FOR THE LATEST FROM LUX ECO LIVING!